Fruity breakfast muffins with plain white flour, baking powder, unrefined golden caster sugar, egg(s) (free range), vanilla bean paste, milk, butter (unsalted), raspberries, blueberries, white chocolate chips. 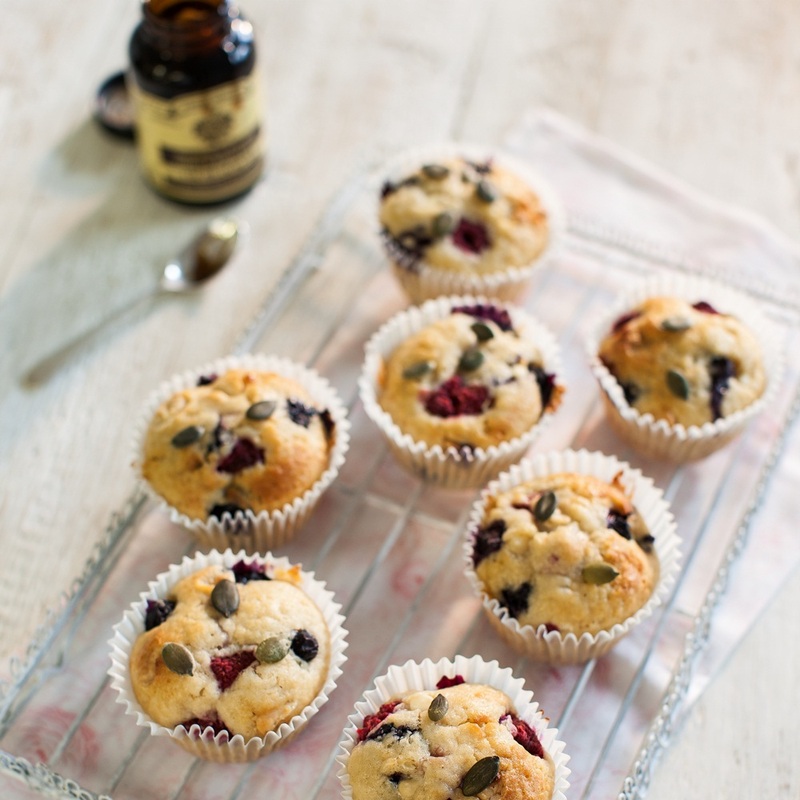 To make this fruity breakfast muffins for 12 persons you will need 20 mins for preparation and 30 mins for baking. Step 1Heat oven to 180°c (fan 160°C, gas mark 4). Line muffin tray with paper cases. Step 2Sift the flour and baking powder into large bowl and stir in the sugar. Step 3In separate bowl whisk together egg, vanilla bean paste, milk and melted butter. Step 4Stir the liquid mixture into the dry mixture and beat until smooth. Fold in half the fruit and white chocolate chips. golden. Leave to cool. Using a fork smash the rest of the berries roughly and spoon them on top of the warm muffin.